Gov. Palin’s remarks on 2012 were in the closing minutes of her single-segment interview with Bolling. Much of the interview focused on the “unflippingbelievable” ObamaCare waivers, Newt Gingrich’s slamming of Paul Ryan’s budget plan. 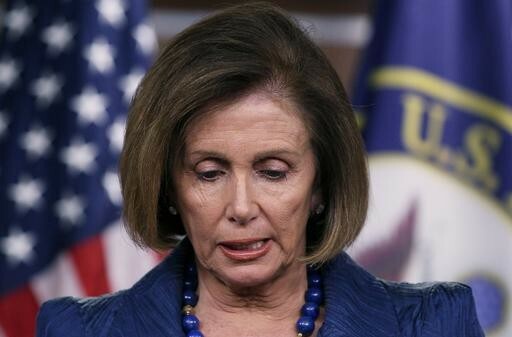 “Every time I hear Pelosi’s explanation [on why ObamaCare needed to be passed], it makes my skin crawl,” Gov. Palin said, adding that Obama care is un-American, unconstitutional, and unaffordable. She could not understand why Pelosi is allowed to grant waivers to some companies and not others. Gov. Palin said it constituted corporate cronyism and favoritism and was unfair. “If there is no investigation, the government is not serious about ethics reform,” she said. Gov. Palin closed the interview complimenting Bolling for his focus on “drilling for our own sources and mining for our own sources.” Bolling promised Gov. Palin he would have her back to discuss energy independence. Gov. Palin re-affirmed her support of the Ryan plan, which she said would save our country $1.2 billion per day, while Obama’s policies are leading the nation on the road to bankruptcy. She said that all Republican candidates need to be prepared for the “gotcha” questions from “leftist lamestream media.” Further, Gov. Palin said “we should ignore the lamestream media. Don’t let them change our position in a 24-hour news cycle and don’t let the mainstream media dictate the debate. Hannity played footage of David Gregory accusing Newt Gingrich of racism over his “Food Stamp President” remark – a reference to the spike in the number of people on the program since Obama took office. Gov. Palin said that the question itself was “racist-tinged” and false charges of racism are leveled to end the conversation. She said we should call the mainstream media out on this behavior. She said Gingrich’s assessment was legitimate in light of our government’s overarching, over-taxing, and over-spending ways. Gov. Palin reiterated her point that we should do our homework and not let the media define the candidates for us. Will Palin Jump Into Presidential Race? Part 1 retrieved from Fox News. 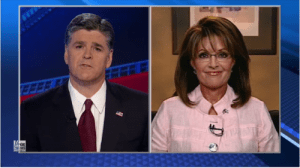 Will Palin Jump Into Presidential Race? Part 2 retrieved from Fox News. Sarah Palin Rates 2012 Candidates retrieved from Fox News. “Give me lucky generals” Napoleon is reported to have said. This clearly applies to the art of politics as well as war. If Sarah Palin had jumped into the GOP presidential race a month ago-as so many of her supporters were urging she would have been caught up in the three ring circus that is the current Republican race. Her announcement would have been subsumed beneath the Bin Laden death and President Obama’s subsequent bump in the polls and the massive media coverage. Then the Trump “candidacy” with the resultant media frenzy and his brief huge jump in the preferred candidate stakes (at her polling expense to some degree-not because he was necessarily perceived as superior but because she had not indicated she was a candidate) sucked all the oxygen out of the room. The Huckabee decision not to run created a brief media fire storm, Romney’s ongoing problems with health care reform and now the Gingrich meltdown is reflecting badly on all the current GOP candidates by making the party look split on the key area of healthcare reform. His backtracking and ridiculous statement that anyone who criticises his anti-Ryan statements is a liar because he admits he made a mistake is also reflecting badly on the party. Palin, by staying out of the race to this point and for not being involved in the Huckabee/Trump/Gingrich/Bin Laden/Romney media frenzy/character assassination/speculation circus is benefiting her immensely as the latest Gallup poll reflects. Further, because what Gingrich is enduring within a week of announcing from the media she has endured and survived for over two years-basically when she declares, if she does, there is nothing the media can dredge up about her personal life/past statements/associations etc which has not been thoroughly thrashed out, canvassed, lied about, blown out of proportion so she will be able to campaign without the distractions and sensation that have plagued Trump and Gingrich. positive level as the media looks to fill up their speculation quota and then the liberal media/bloggers will jump in boots and all and they won’t know what hit them. Palin, by staying above the fray, not indulging in character attacks on other possible candidates and sticking to attacking the administrations policies is showing that luck comes from judgement. This who have been pressing on her to run are understandable in their urging because they have a deep level of commitment to her and what she stands for. However, patience is required, and so far her policy of not committing has seen possible rivals self-destruct one by one without her having to do anything. The Daily Caller reported yesterday that President Barack Obama’s administration approved 204 new Obamacare waivers in April. A waiver you ask? That’s right, waivers are being issued to posh hotels, gourmet restaurants, day spas and nightclubs, exempting the businesses from Obamacare and allowing those businesses to keep their lower-cost employee health plans for now. It was discovered that a startling one in five of the new waivers to Obama’s health care reform law went to businesses in Nancy Pelosi’s district. The reason the Obama administration says it has given out waivers is to exempt certain companies or policyholders from “annual limit requirements,” but what’s ironic about the whole thing is that all of these businessess receiving the waivers are businesses that could afford Obamacare. So it has people wondering, if these businesses can’t afford Obamacare’s regulations, what are the mom and pop businesses going to do? Another shocking revelation took place on Monday when the Las Vegas Sun reported that Nevada—Senate Majority Leader Harry Reid’s home state—received a partial statewide Obamacare waiver, too. I shouldn’t have to remind you that it was both Reid and Pelosi who forced Obamacare to become law. Now his state will be one of three to get a waiver from the law’s requirements. Townhall Magazine Cover Story: Is She In or Out?